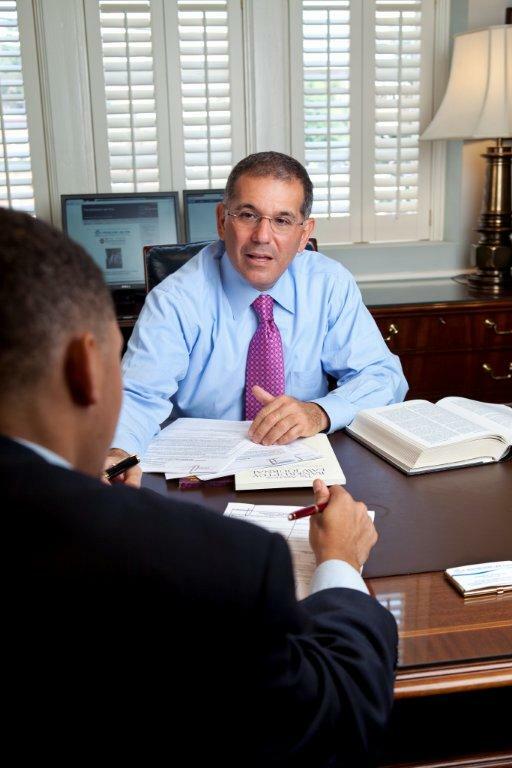 Testimonials from satisfied clients of The Rothbloom Law Firm Atlanta bankruptcy lawyers. Dear Howard, thank you for your guidance and support last year on our behalf. You were right! All the stress of last year's proceedings are but a distant memory now. We appreciate you and your firm's professional counsel. Best regards. -- J.C.
Howard: Please accept our heartfelt appreciation and thanks for your help and kindness. May the best life has to offer, always be yours. No one is more deserving. Again, my we say thank you. Sincerely, -- B & E R.
Thank you both for making a difficult process much less scary. Please know how much I appreciate the both of you. -- E.S. Dear Howard, thank you so much for what you did for E. You are not only helping her solve tremendous problems, your kindness filled her with relief. When I saw her she was actually smiling-- a sight I haven't seen for awhile. With heartfelt appreciation. -- S.
Dear Mr. Rothbloom, thank you again for your time and knowledge yesterday. Your caring spirit lightened the stress and anxiety of the last 12 months almost immediately. I am greateful to you and your firm for taking me as a client and helping me start my life over. G-d bless you. Thank you again. -- L.D. Howard, with sincere thanks from H., R. and the whole C. family. You are a G-dsend and we truly appreciate all that you did for our family. With loving thoughts... -- R.C. I cannot say more than thank you for what you have done for me and my family. Your big heart will lead you to happiness and peace. Thank you. -- A.
Howard, Adam & Dena, I received my discharge papers last week and I am truly grateful for your kindness and all the work you did on my case. Thank you. -- J.M. Dear Howard, Adam and Silvia, thank you for your help through my difficult times. The Rothbloom firm's ability and client relations are nothing less than stellar. As you know, my ex-wife's attorneys said chapter 7 was impossible. You exceeded my expectations. I view you all as friends and wish the best for you and your families. Thanks again, D.
Silvia and Adam, thanks and we appreciate your efficient, respectful, caring handling of a very awful and embarrassing period of our llife. You really were delightful to work with. -- K.A. Howard, I received my discharge today and I wanted to thank you for everything! Dena went above and beyond to be helpful; she's a gem!! Adam was very professional and thorough. Thank you for everything!! -- B.B. Thank you guys for everything! I believe this was the best decision for me and my family. I truly appreciate all of you. -- S.G.
Dear Howard, it has been a pleasure to work with you. Your staff are professional, caring and sincere. Does it sound strange to say I was proud to have you as my attorney? I hope not, because I was. You have a generous and gentle way and I cannot thank you enough for your advice and guidance as I worked my way through this part of my life! With warm affection, D.G. Mr. Rothlbloom, thank you so much for your help with our case. I truly understand why you are the best! You made us feel like we were your only case when we sat down to speak with you. You answered our numerous questions with detail and compassion. You have a wonderful team and I am thankful. Again, thank you and have a wonderful day. -- Js. Silvia, I would like you to know how much we appreciate all of the hard work you, Adam, and Howard have done to help get this resolved. Silvia, your friendliness and encouragement have made this journey a lot easier. You all make an excellent team. We are very please with the final results and feel like we can really get a fresh start now. Not sure we're feeling the euphoria just yet, but this week has been a good one! Thank you. -- L.C. Hello Howard, I just wanted to write to you quickly and say thanks for all of your advice. As of today, I have settled with every vendor and have no outstanding debt. We also have a full value sub-lease on the premises. If I had gone to any other bankruptcy attorney, I probably would have filed Chapter7 in December. You've made a real difference in this outcome and I'll be forever grateful. Thank you! Sincerely, -- S. A.